It’s easy to lose track of being environmentally-conscious in the hustle and bustle of our daily lives, but it’s also easy to remember that anyone can do a little to change a lot! At Blue Beyond, one of our company commitments to creating the future we yearn for is to maintain our connection to nature and our responsibility to the planet. We’ve been working to create a more sustainable workplace and get our team inspired to be as green as possible! Making changes to your day-to-day may seem daunting at first, but there are small things that you can do around the office that will make a big difference. 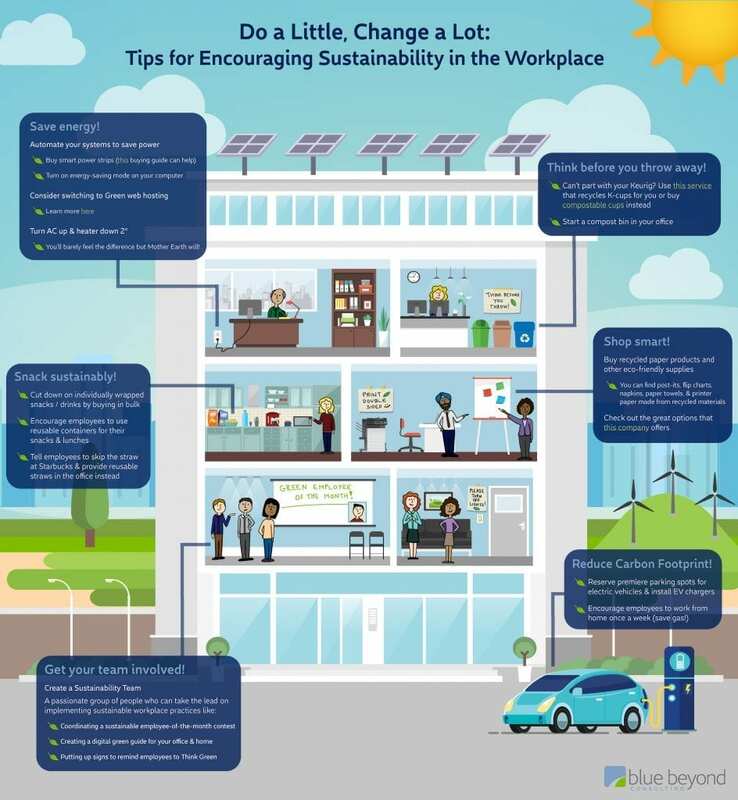 See our infographic for tips on how to make your workplace more eco-friendly — and if you work remotely (like many of us often do), think about which of these changes you can implement in your own home. No matter what your role is, no matter if you’re working for a small business or a global company, every individual can make an impact! Click into the infographic to see the details! 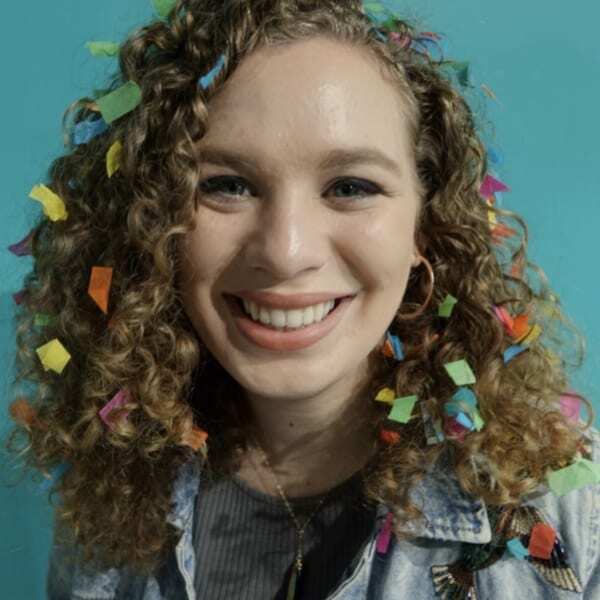 Maya works at Blue Beyond as a consultant, graphic designer, and creative content developer. She specializes in illustrating engaging imagery, video/web production, and project management.